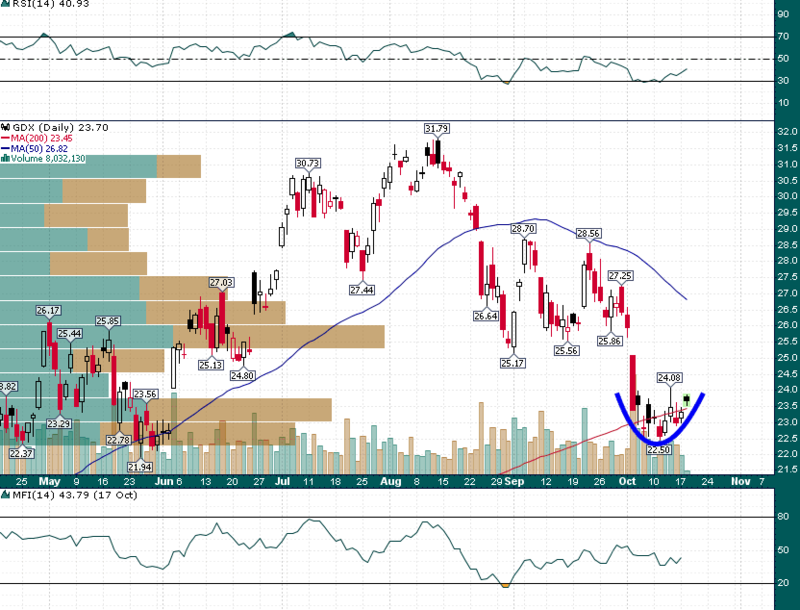 Gold Miners Working On A Bottom | Energy and Gold Ltd.
A series of higher lows have formed since the $22.50 low on October 11th. Moreover, bullish divergences in the form of a higher low in relative strength (RSI at top) and money flow (MFI at bottom) point to the possibility that the recent low was a ‘weak’ one and it might not require much buying interest to see price quickly reverse to the upside. Above ~$24.00 the open gap up at $25.86 is a likely target with much stiffer resistance existing up in the $26-$27 area.